Kadfeen Choudhary is a Congress leader from Srinagar. He has been quite vocal against the BJP’s policies and its directives to create wedge between society’s various communities. Kadfeen is also very active on social media, taking on BJP and highlighting the need for the secular forces to take on the fort. In an exclusive interview with Kashmir Magazine, this young Congress leader underlines the importance of being secular and how Jammu and Kashmir’s core interests are among the top priorities of Congress in coming elections. 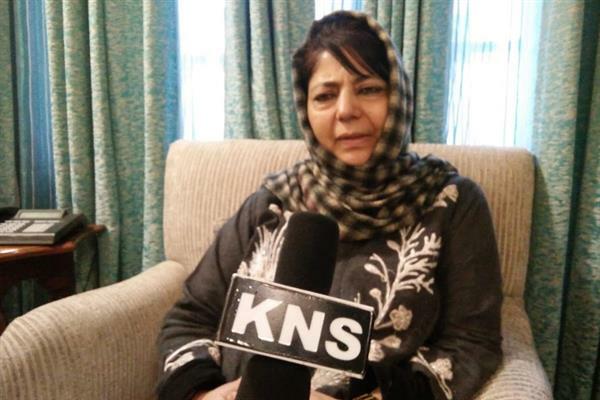 You have been primarily talking about the interests of the Jammu and Kashmir’s tribal population. Why do you think that this community merits a special focus? Because, it is worrisome to find that the literacy rates of the Tribal communities of Jammu and Kashmir especially the Gujjars and Bakerwals is extremely low as compared to the national and state average. The literacy rate in India , as per Census 2011, is 73 percent and for STs at national level it is 59 percent only . “But in J&K, only 50 percent tribals are shown literate. The main reasons of the low literacy among tribes are poverty, conflict and topography. There is a dire need of implementing a comprehensive mechanism by virtue of which exclusive schools for the tribal children are opened in the state in which special focus on the overall intellectual development is given to these children. It is reflection of government’s dilatory mode of functioning that so far the school facility for the state’s tribal populace has been been denied by those who are helming the state affairs. 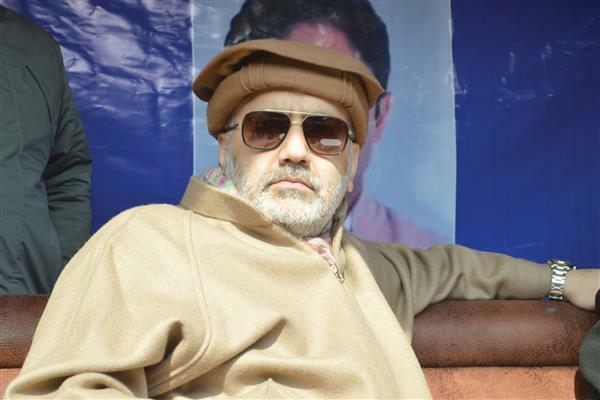 You were among the very first people who upped the ante against the harassment of Kashmiri students outside Valley. Why do you think this happened and how it could be avoided in future? The government was duty bound to take remedial measures without delay so that the students could have felt secure outside Valley and can return to their colleges without any fear. I strongly believe that there is a need of rebuilding the trust that has received the heaviest hit recently when fanatic groups vandalised educational institutes and terrified the innocent students. Reconciliatory approach can alone assuage the ruffled situation. I have said this at that time also that instead of showing younger generation dark and dreadful face of communalism, there is a dire need to show this young lot the windows of country’s secularist image. The civil society groups of the country too need play a role in pacifying the situation and make colleges and universities outside Valley safer places to study for Kashmiri students. What is your take on present election season in the state as well as in India? The fact is that on multiple fronts there are assaults being launched on state’s secular and tolerant character and attempts being made to create new fault lines in the state and sow seeds of discord by the communal forces. All political groups in unison need to come forward, adopt a pro-longed strategy to keep such elements at bay. As elections are approaching nearer, BJP and its affiliated organisations are trying hard to stir the communal harmony in the state so that they could fish in the troubled waters and garner votes. These elements if allowed to go scot-free will set a dangerous precedence for the coming generations and therefore every peace living citizen is duty bound to come out and defeat such elements in a democratic way. The political and social groups of the state must exhibit absolute astuteness to keep the unique identity of the state intact and alive and make its secular characteristic thrive with each passing day. Every person can play a role in foiling the nefarious designs of the communal and divisive forces. All we have to do is to isolate such forces by unanimous efforts and accord them no societal acceptance. You also in the past raised the issue of Reliance Insurance Scheme and the silence Govt. is maintaining over it. Tell us more…. It is indeed ironic that till date no person was brought to the book for committing the fraud in the Health Insurance Scheme of more than five lakh government employees. It is questionable why there has been no action when for months ago, Governor himself said the Government hadn’t even called the tenders for the policy and a front company was floated by the officers to call the tenders, which were not uploaded on the Government website. Why the government has so far been reluctant to reveal the amount that has been deducted from the employees for the benefit of the insurance company and that there are also questions being raised over why aren’t the names of guilty in this case made public. There are hundreds of crores of rupees involved in the process and there is a need to unearth what has went wrong and where. What is raising the eyebrows is that the government hasn’t so far revealed how much amount has been paid to the company, how much has been deducted from the employees’ salary and what is the volume of benefit that any employees availing themselves of a scheme have received. Your stand on Article 35-A? My stand is what is the stand of my party- Congress- on the subject that this Article forms the core identity of the state. 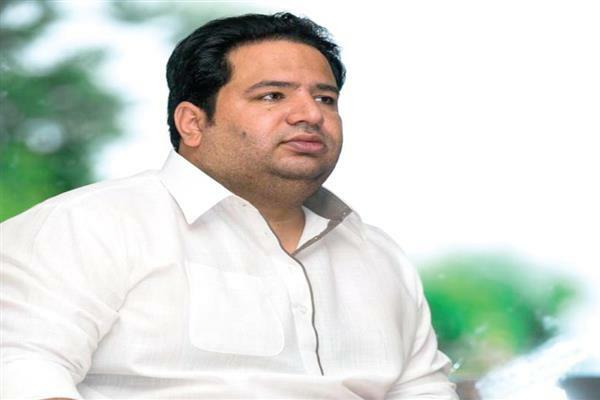 Congress leader Kadfeen Choudhary on Monday has cautioned the central government that any tinkering with the special status of Jammu and Kashmir would prove calamitous and can create fissures between the state and the union. 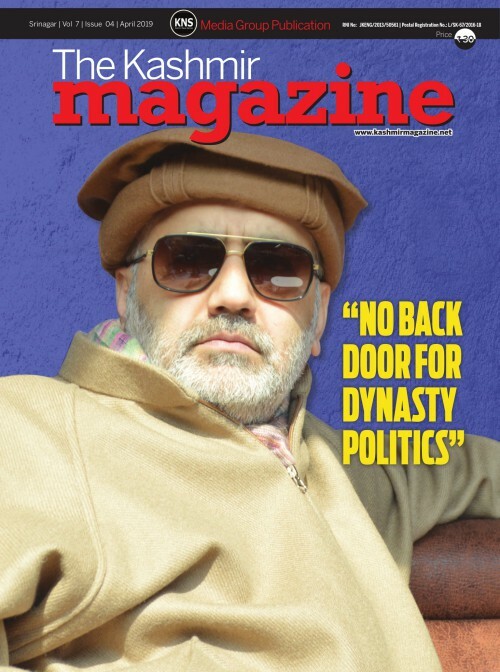 It is the widely acknowledged fact that Jammu and Kashmir as part of the republic secured its unique position and same cannot in any way be contested in any court of law. 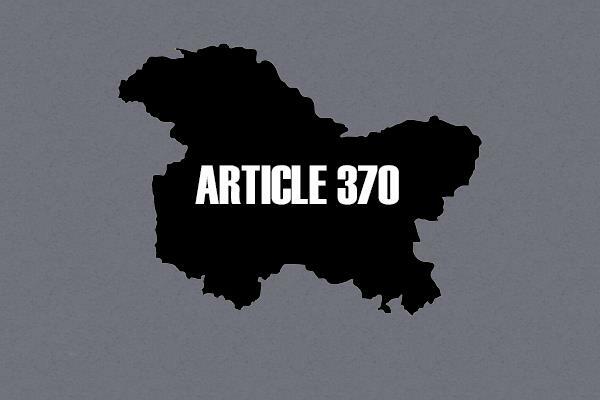 Article 35-A is a matter of life and death for the people and cannot be contested in any court across the world. 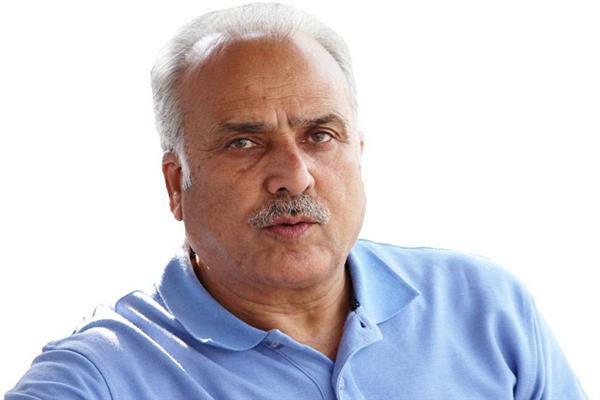 The central government should pass a direction, declaring Article 35-A off limits so that there aren’t any such attempts made to destabilise the equanimity in the state which has already been battling plethora of odds on multiple fronts.There are elements who want to turn the state into a hub of uncertainty but cannot succeed in their nefarious designs. These elements have failed in the past and are bound to fail in future also. What I urge people is to strengthen the Congress party and support its fight against the divisive and communal forces are out to fragment the otherwise tolerant society into pieces and challenge its very identity to the core. How is the present situation? The present situation is indeed worrisome. The fanatic organisations including BJP and RSS of trying to create a communal cauldron out of a state which is proud of its multicultural and multi-religious ethos and its mosaic of diversity. But I must say that it is the Congress party alone that can defeat the divisive agenda of the BJP in the country as well as in the state and that it has become evident now that BJP is not a party worth to govern any state or a country as a whole. Congress is the only party that can steer the ship to the shore at present. The hateful campaign launched against the people of other religious communities by the BJP and RSS will be thwarted alone by the Congress and time is near when the tolerant and secular face of the country will again rise and shine before the world. Various fanatic groups are out to spread hate and resurrect the demon of communalism in the state. However, these divisive elements must learn from history and from contemporary situation in the world as such hateful campaigning can lead the country to a disaster.